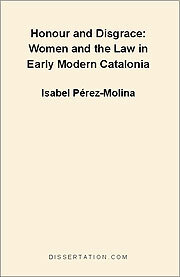 This study analyses the legal condition of women in Catalonia, Spain, in the early modern ages, particularly during the seventeenth and eighteenth centuries, by way of the study of primary legal sources. The legal discourse was conceived as being different for men and women: women were treated as a specific social category, were judicially discriminated against and were given inferior legal personality. Following the moral discourse of the time, jurists classified women as honest and dishonest, and tried to establish a physical and legal barrier to divide the good from the bad. As a result, women were before the law, pawns for male decisions. However, women did not easily comply with the submissive role attributed to them and, as civil lawsuits show, often they used the law that discriminated them in their own benefit.